Enjoy hot food at your train berth. Just order before you reach Bhopal Station. Train journeys are set to become a little more interesting for foodies. Taking cue from home delivery services, several restaurants at Bhopal railway station have started delivering hot food to passengers in the train, right on their berth. All you need to do is call them at least 45-90 minutes before your train reaches Bhopal station and place your order and provide details like train name/coach no./ seat no./ticket PNR etc. Once your train reaches Bhopal, they will deliver food on your seat and collect their money. The good part is that because of several restaurants, you are no more restricted to pantry food. You have an exhaustive and very reasonably priced menu to choose from. For example you might get mineral water, soft drinks etc at the printed price. Though they ask for a minimum order for Rs.150, it’s not bad as even a meal for one would cost that much. But the real fun is that now all major stations have similar services. We recommend ordering 2 hours in advance, at least. 08800-31-31-31 (live operators 7:00am-10pm). It’s one number for all restaurants that deliver in train. You can also request a callback online. We strongly recommend that you only pay cash on delivery. Since you are in a train the delivery person might miss the train so advance payment is not advisable. 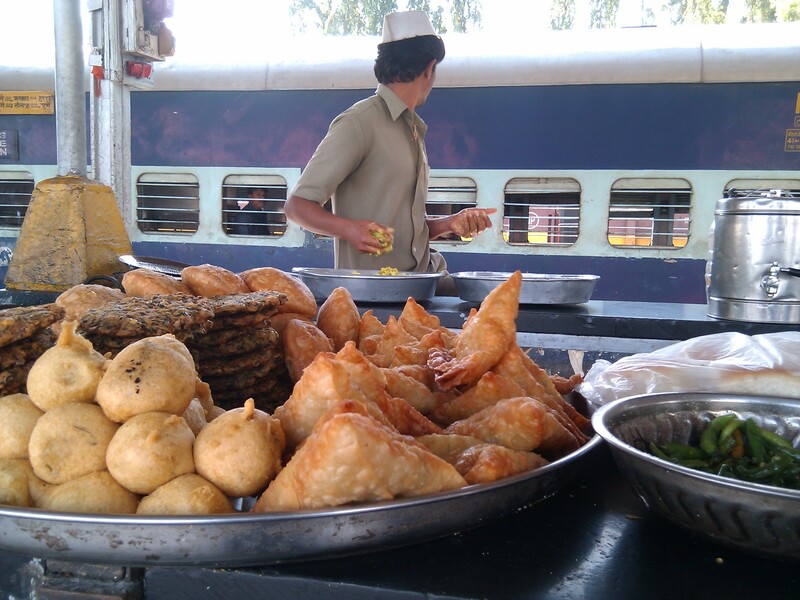 Why settle for samosas and vadas when you can order full meals from your berth at Bhopal Station. Dear Travellers !!! Most of the mobile number updated in web site is not working !!!! please confirm the mobile no then order the food from Rush n Bite !!!!! Today 09 august 2014, I called them up at one of the above given numbers. Somebody picked up and he asked for my order and train and birth details and said that food will be delivered. After 40 minutes when I reached at bhopal station, I waited for 5 minutes but nobody came then I tried calling the same number and guess what happened Noone picked up my call. I called 5-10 times but there was no response. And the funny part is that train moved from the station and I am here sitting without any food. Thank god I had some biscuits and snacks. But how irresponsible. At least they should have informed me if there was any problem or anything. I would recommend not to trust on them otherwise u are going to starve like me. Bloody rush n bite.